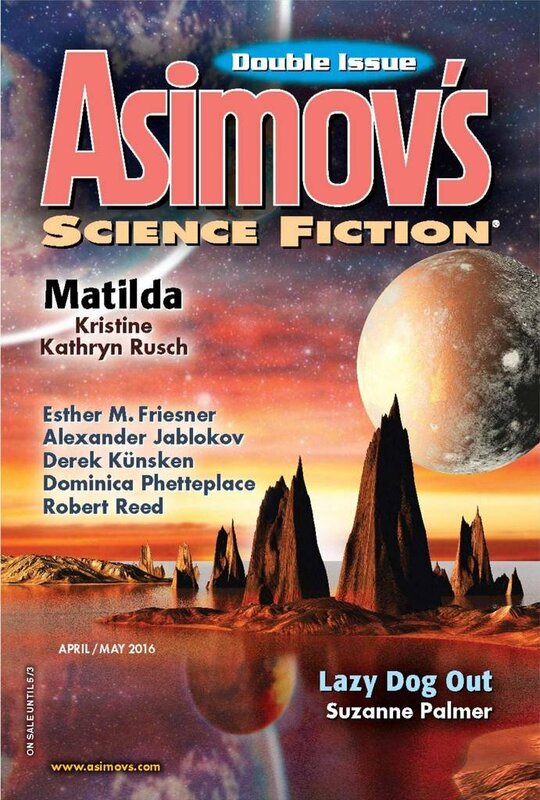 "Flight from the Ages," by Derek Künsken [bio] (edited by Sheila Williams), appeared in Asimov's Science Fiction issue 04-05|16, published on March 24, 2016 by Penny Publications. Pro: This colorful story takes us to interesting, ever-more-incomprehensible places and boasts good narration and dialogue. It even has a happy ending. There are a number of cute allusions to the story of Ulysses and the Cyclops that are entertaining for those familiar with the story. Con: The science mixes real things with impossible ones. Just to name a few: the attometer-sized black holes should weigh around half a million tons, not eighty thousand. 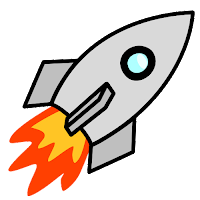 Fast-moving dust at high velocity would erode the hull, not "tickle" it. What does it mean for an AI to "live out its days?" And how can a beam of light travel for thousands of years through an opaque plasma--much less automatically turn into an AI when it hits a neutron star? Who should we believe -- you or Gardner Dozois? I'm not quite done with the story (reprinted in Dozois #34) but having fun, even if he stretched the physics. Michael Swanwick once remarked that classicists like Dozois were easy to fool with "hard-rubber science." Ultimately, is it a good story? YES! It all depends on what you like and what matters to you. For me, "hard-rubber science" (I think of them as "failed Hard SF") simply ruins a story because it keeps breaking my suspension of disbelief. But others don't care about that as much. It's part of the reason why we cite multiple reviewers. Readers should get a feel for which reviewers match their tastes the best.